Today’s Coast to Coast Challenge is knits. 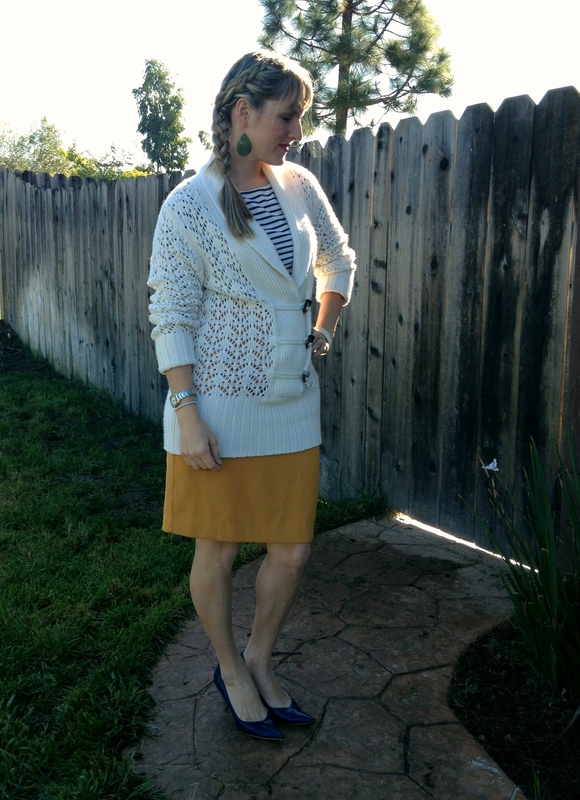 This sweater is really bulky, so I lightened it by pairing it with a bright pencil skirt. Posted in Fashion and tagged Fashion, Hair, San Diego. Bookmark the permalink.